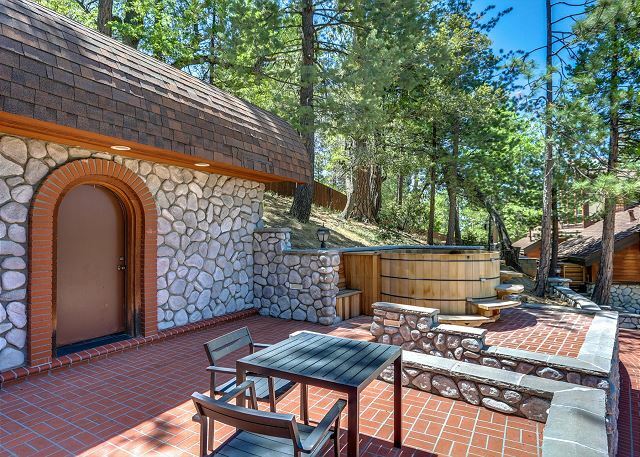 Take a dip in the Cedar Hot Tub! 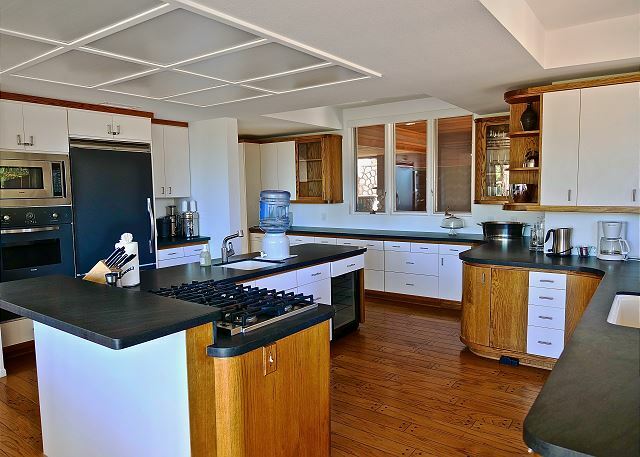 Large spacious kitchen with ample counter space. 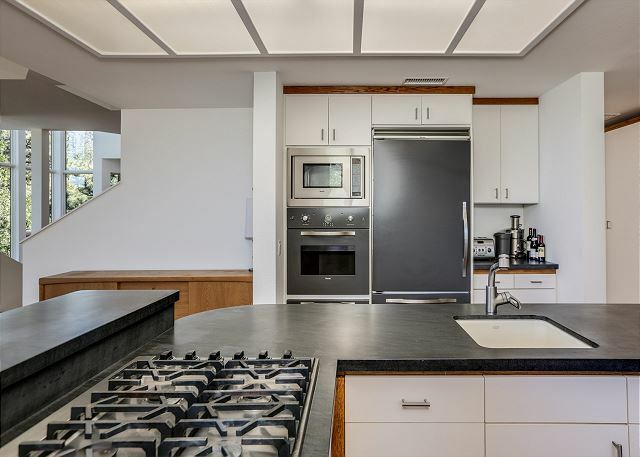 Large kitchen equipped with all the essentials. 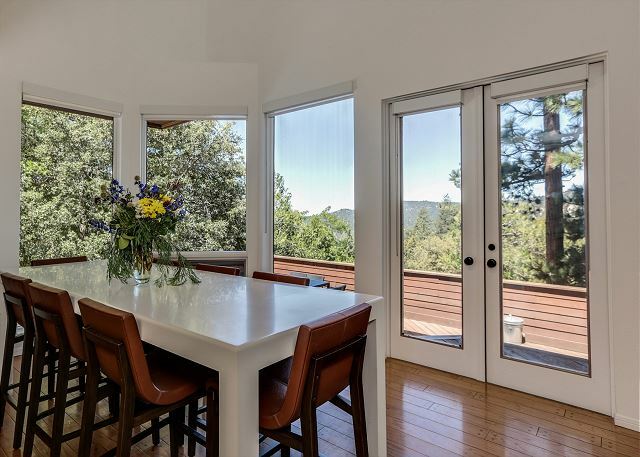 Enjoy the mountain views while enjoying your meal. 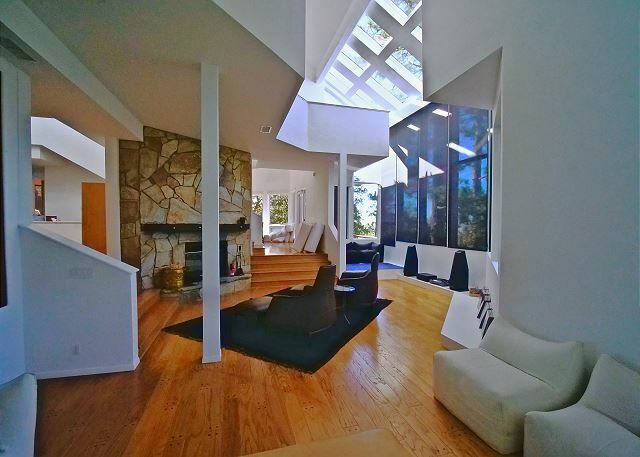 Living room with large fireplace. 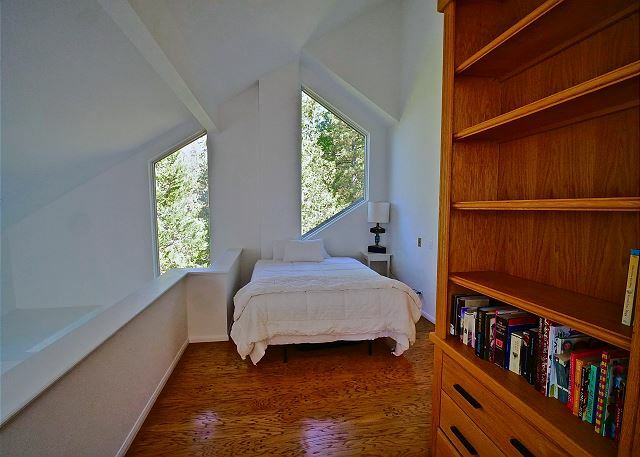 Expansive windows bring the outside nature in. 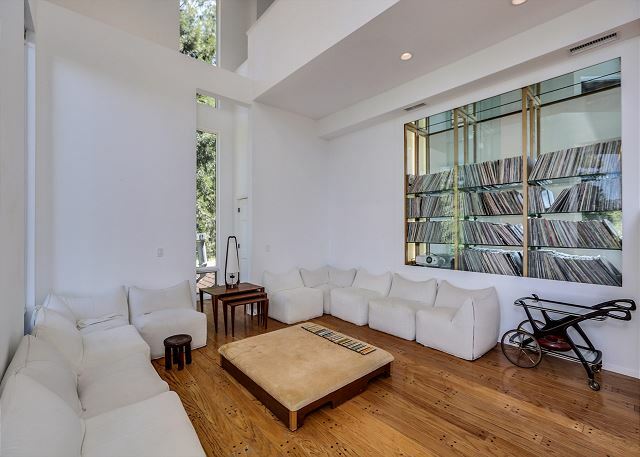 Modern living room with wonderful record collection. 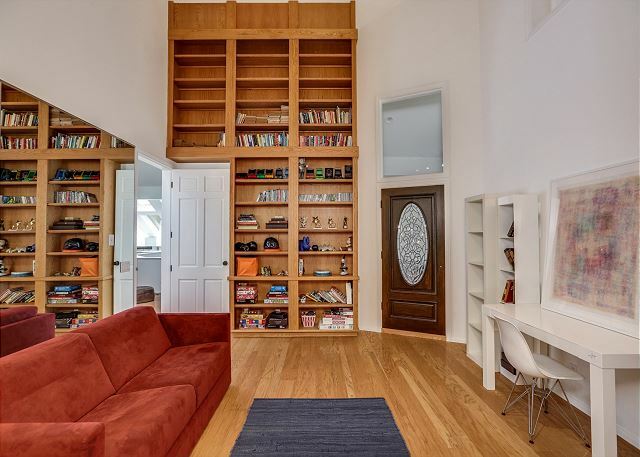 Home has a very modern design. 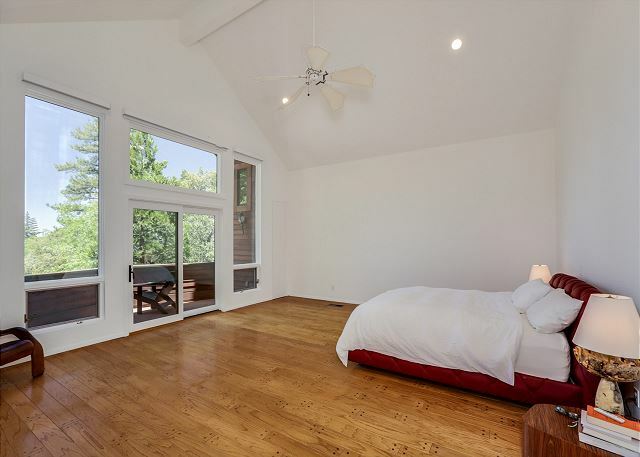 Large master bedroom with private deck and gorgeous views. 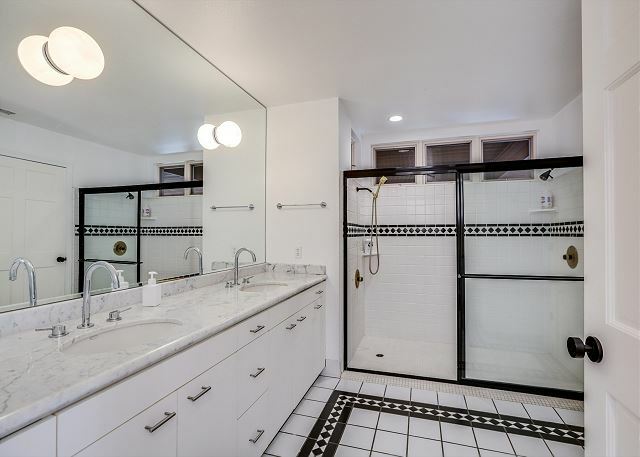 Beautiful large master bathroom with large tub and shower. 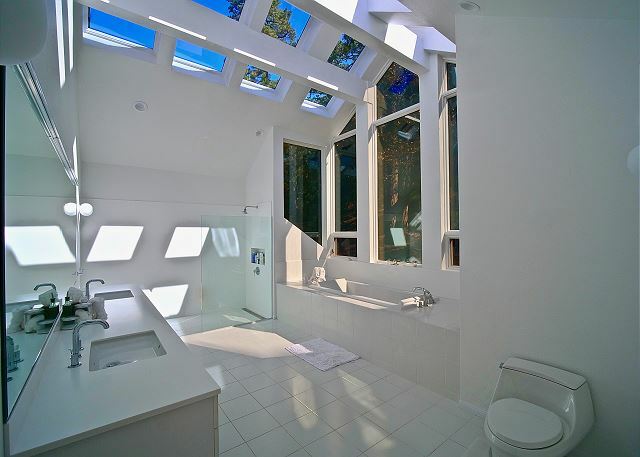 Skylights and exxpansive windows in bathroom bring outside nature in. 2nd bedroom with queen bed and pullout couch. 3rd bedroom with queen size bed. Large lap pool downstairs perfect for working out or taking a dip. 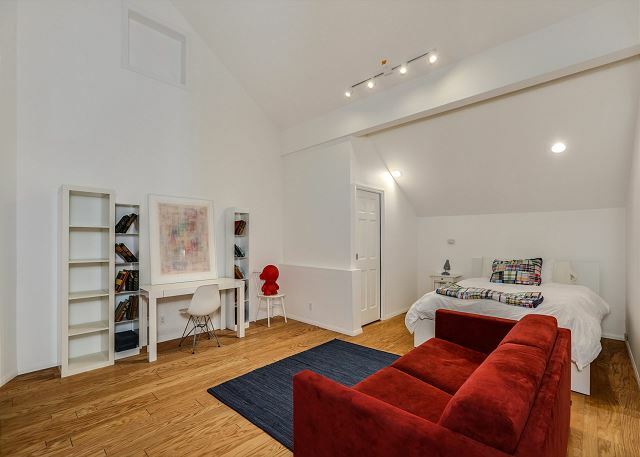 Upstairs loft can serve as 4th bedroom with a queen bed. 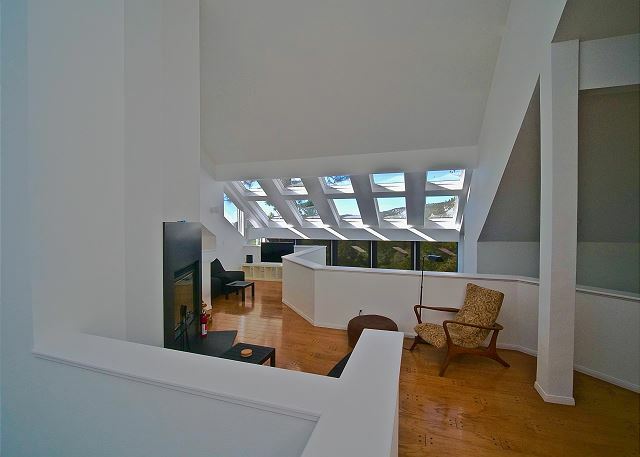 Upstairs loft with fireplace and TV. 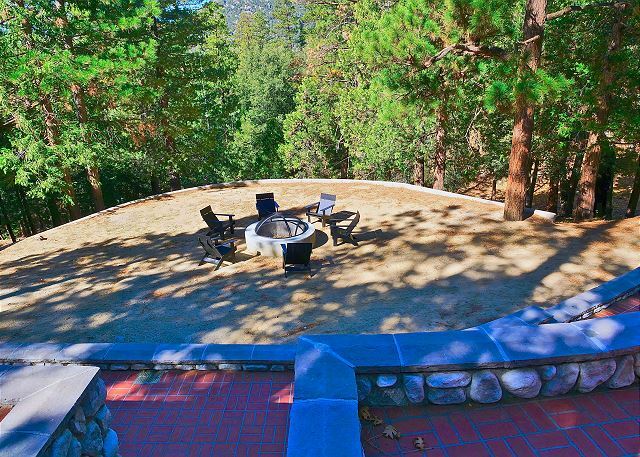 Outdoor firepit perfect for roasting marshmellows. 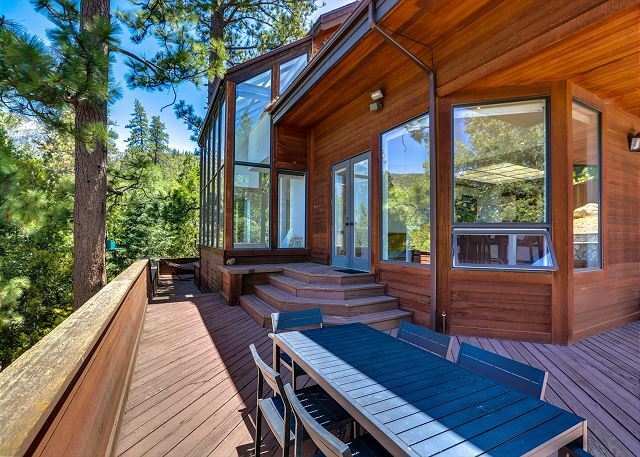 Large deck with panoramic views of the mountain. Hang out on the hammock! 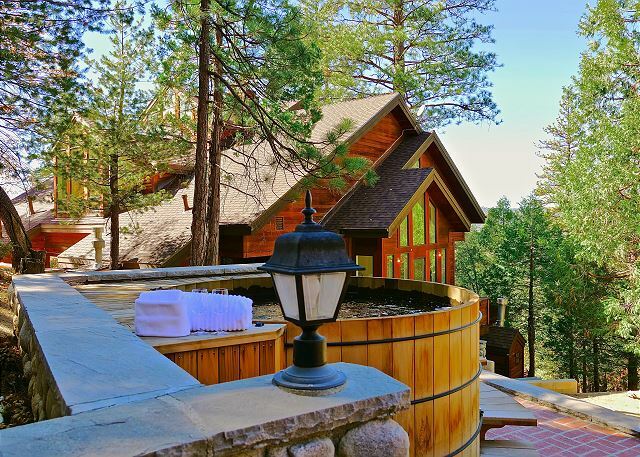 Sauna and cedar tub are perfect for all seasons! 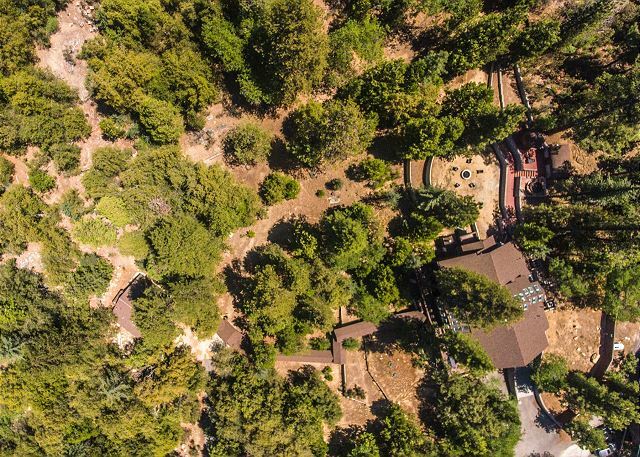 Home lays on 7 acres of land. Sauna perfect for all seasons! Welcome to Majestic Pines Estate! 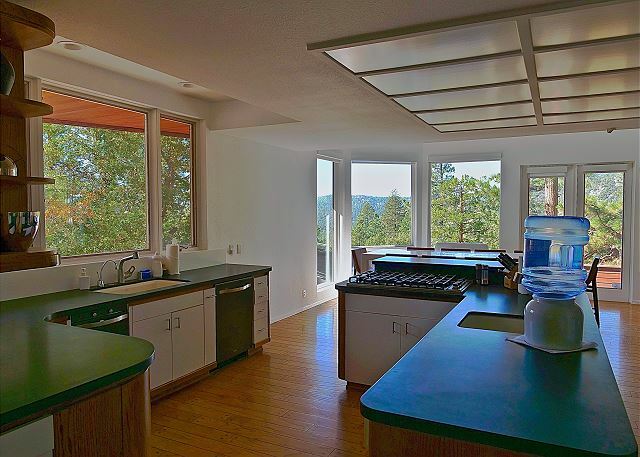 Majestic Pines, an extraordinary zen mountain retreat backing to miles of National Forest with unlimited access to some of the best trail-heads. 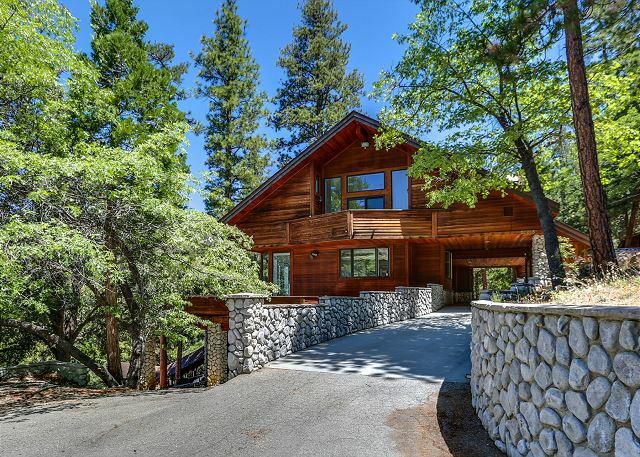 This executive mountain estate blends modern luxury living with resort style amenities. 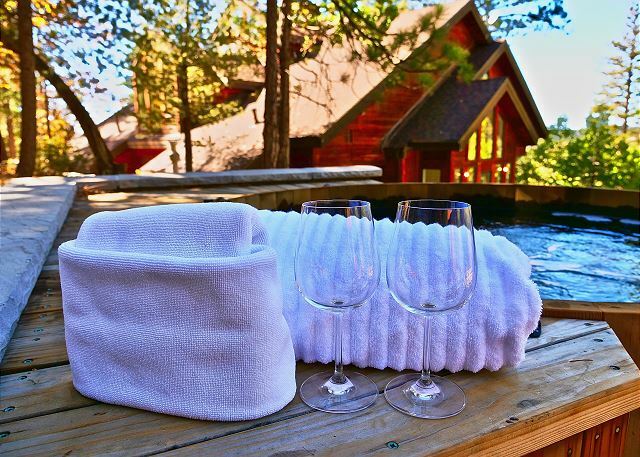 Features include an indoor-lap pool, steam room, cedar outdoor hot tub, sauna, firepit, and gazebo. 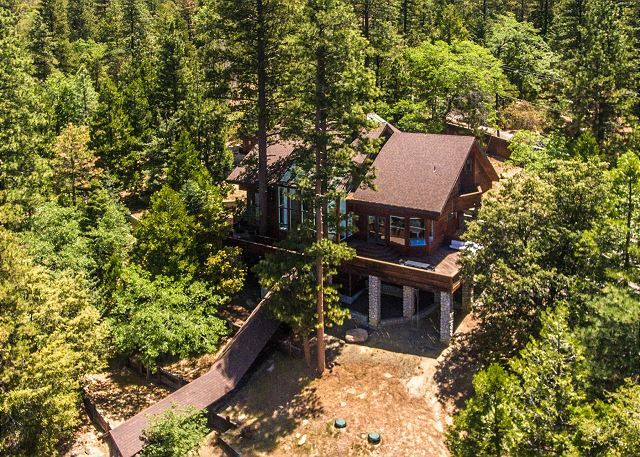 Set on almost 7 acres of private forested land in one of the best locations in Idyllwild, you will feel alone and in complete solitude yet close to shopping, restaurants, & nightlife. 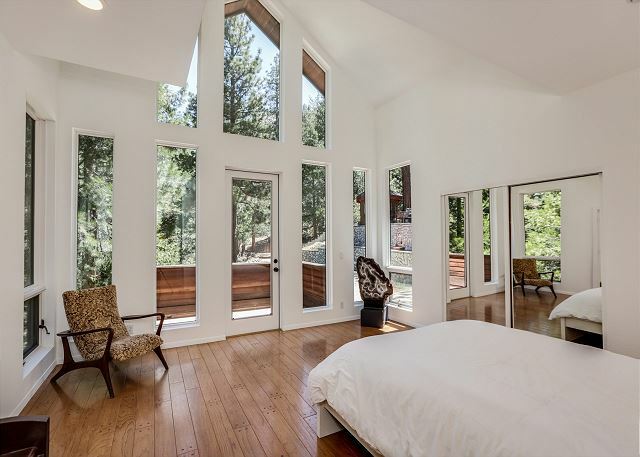 If you desire all the modern conveniences, privacy, fresh mountain air, and room to roam this luxury estate should be put on your short list. 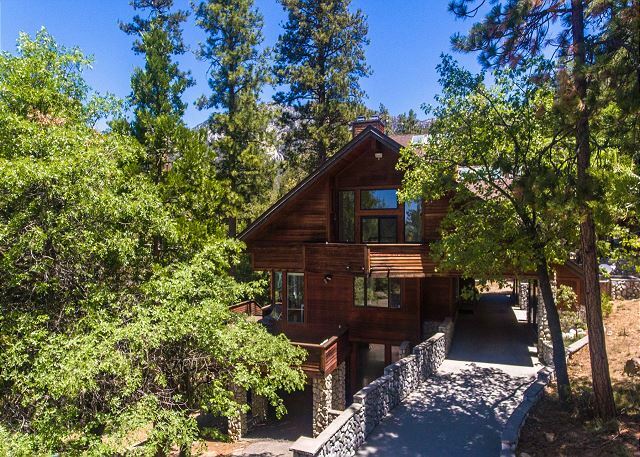 There is quite simply nothing comparable that blends nature & harmony creating the ultimate in luxury living! Weekend rate Friday/Saturday is $650.00 p/night. Weekday rate Sunday thru Thursday is $600.00 p/night. Winter Holiday rate $900.00 p/night (Thanksgiving, Christmas & New Year's Eve), with a 4 night minimum. Holiday rate $800.00 p/night, a 3 day minimum may be required. Pool heating fee $300.00. Call us for our weekly/monthly specials. Pets are welcome. No Pets. Linen/Prep fee $225.00. Guests under the age of 25 years of age will provide an additional security deposit of $500-$1,000 on the day of arrival.